For those suffering from chronic sleep disorders, it may seem as if there’s little to do for relief. It is estimated that millions of Americans of all ages are affected by sleep disorders each year and the number is continually growing. While most people try medication, exercise, and certain mindfulness routines to help themselves wind down, it may not always work. 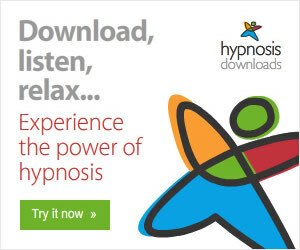 Hypnosis is an alternative treatment not widely known. Though it has not been comprehensively studied for the more severe sleep problems, such as, insomnia and similar conditions, the research that has been conducted seems promising for helping induce deeper sleep in individuals with chronic disorders. Hypnosis, or hypnotherapy, is a natural treatment for different chronic disorders and conditions. Sleep disorders are often a result of a restless mind, which is why hypnosis, which focuses mainly in the mind, is believed to help with this problem. Sleep disorders can be incredibly disruptive to one’s life, causing them emotional stress such as irritability, paranoia, depression, and anxiety as well as physical stressors, such as, headaches, stomach aches, soreness, chronic fatigue, poor concentration and much more. Hypnosis may be able to help these symptoms and more in individuals with chronic sleep disorders in need of relief. When experiencing hypnosis, a person will experience relaxation, focused attention, and become more impressionable and open to suggestion due to being placed in a trance. This state of mind is essential for performing successful hypnosis because it helps the individual increase their responsiveness as well as alter their behavior and reaction. When used for the treatment of chronic sleep disorders and other problems, this openness to suggestion allows the hypnotherapist to try different procedures or practices that may illuminate the cause of the patient’s chronic health problem. There are ways to hypnotize oneself, and this is called self-hypnosis. The techniques practiced in this procedure are most commonly used in order to treat chronic insomnia. The idea behind this particular treatment is that while the individual practices self-hypnosis, they are actually pulling attention away from their anxieties and producing thoughts that encourage relaxation which can then lead to restful sleep. After first consulting a doctor to make sure that one’s sleep disorder is not caused by an underlying problem, one can begin exploring how to practice this treatment. Most doctors may suggest a hypnotherapist to get things rolling and even evaluate the severity of the patient’s condition. Once the chronic sleep problem is clearly defined, practitioners are better able to decide how to proceed. Usually in addition to hypnosis, patients also try natural approaches to sleep such as supplements, exercise, and certain foods as well as mind-body therapies that promote relaxation and focused mindfulness. When used for sleep, hypnosis can have many wonderful effects on an individual. Nightmares: Dreams that are distressing and frightening in nature. Many people experience recurring nightmares which may cause anxiety and fear and later develop into insomnia. Sleep Terrors: Most commonly defined by extremely distressing and disturbing nightmares that are accompanied by screaming and other physical responses. Often the result of traumatic and unresolved experiences. Bedwetting: This often occurs at the height of a distressing dream and happens when the individual is experiencing fitful sleep and deep dreams. Sleepwalking: When the brain fails to release the mild paralysis needed to keep the body still while asleep, sleepwalking can occur. Sleepwalkers may physically move about (i.e. walking and talking) while completely asleep due to being deeply engaged in their dream. While research suggests that hypnosis may help these problems, the findings and studies are very small. 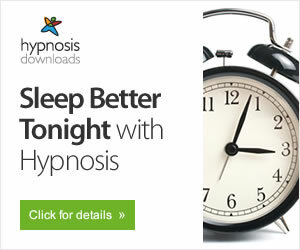 Still, hypnosis has proven effective for sounder sleep in most individuals. Due to this, the treatment of sleep disorders has begun to include this alternative treatment for patients looking to try everything they can to alleviate their chronic disorder. Hypnosis is also effective as an exploratory treatment, meaning that it can help identify other underlying problems causing chronic sleep and health problems. With the help of hypnosis, other symptoms and causes have been found and treated by other medications and treatments, helping to improve or completely eradicate some sleep disorders.